Life is like a box of eggs, you never know what you’re going to get. Usually it’s eggs. 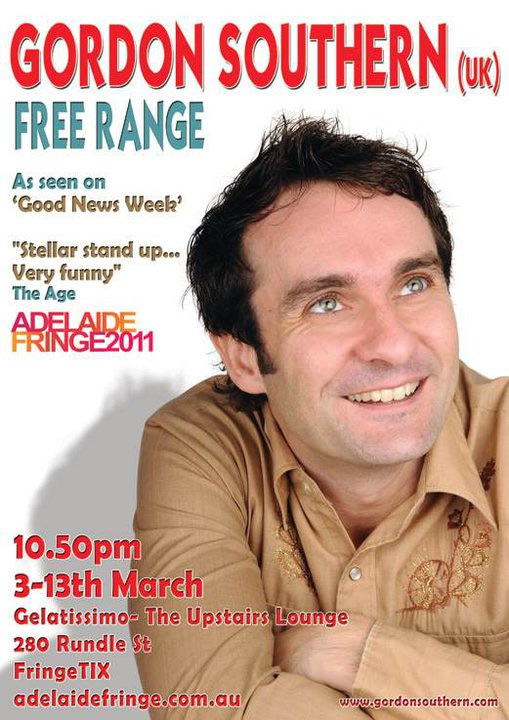 Not so much about eggs, Free Range will allow Gordon to wander through the very best of his stand-up comedy compiled over the last 16 years since he first emerged on to the UK comedy scene. And that will certainly be a packed 60 minute show considering just how many shows this prolific comedian has written and performed during his career.